Apricot Kernel Oil is a rich, nourishing carrier oil – the professional choice for hand and facial massages. 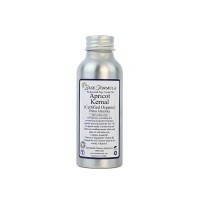 Apricot Kernel Oil (Prunus armeniaca) is a rich, nourishing carrier oil suitable for all skin types. 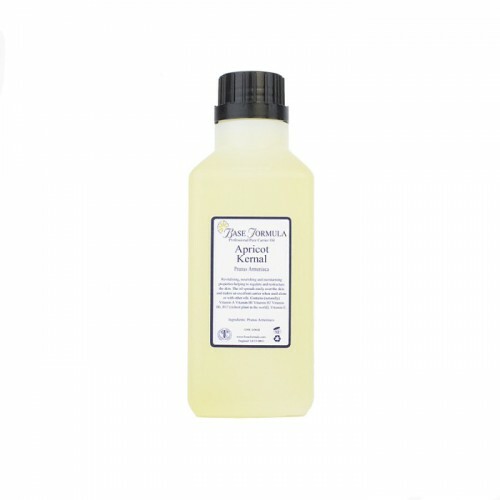 It is the professional therapist's preferred oil for hand and facial aromatherapy massages. Apricot Oil contains Vitamin A, Vitamin B1, Vitamin B2, Vitamin B6, B17 (richest plant in the world) and Vitamin E resulting in exceptional revitalising, nourishing and moisturising properties which help to regulate and restructure the skin. Apricot Oil spreads easily over the skin which makes it a good choice for new or nervous masseurs. It is rich and yet penetrates the skin easily making it an excellent oil for using alone or for blending with other carrier oils. Professional Tip: The experts at Base Formula recommend adding Apricot Oil to Almond or Grapeseed Oil at 10% for body massage and using it pure for facial massage.